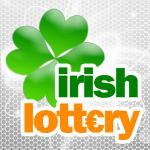 Two Lottery tickets matched the six main winning numbers plus the bonus ball to split the € 5.3 Million Irish National Lottery jackpot. By the time of writing this article, none of the jackpot winners has showed up to claim their €2,688,982. 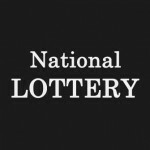 The identity of the two jackpot winners will be made public once they go to claim their lottery winning at the National Lottery Headquarters in Dublin. The winning numbers that made them millionaires were 6 – 9 – 21 -31 – 33 – 42 while the bonus ball number was 11. Both of the winning tickets were from a quick pick play. The store owner from which the lottery ticket was purchased was excited about the event as it was the first time that the store sold a winning ticket. Onto other news, four UK Lotto tickets matched the winning numbers from the May 5 draw. This is just hardly a week after the three players split the UK Lotto jackpot. From the recent events, it is clear that the UK Lotto is the lottery game to play. The winning numbers from the draw were 04 – 13 – 17 – 26 – 27 – 40 while the bonus ball number was 36. Each winning ticket will be worth £965,475. 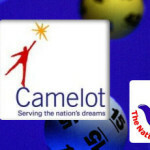 Camelot officials estimate that the jackpot prize for the Wednesday draw will be £2.2 million. 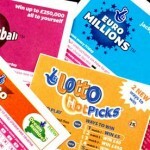 Unlike the UK Lotto, the Euro Millions did not yield any jackpot winner. However, five tickets won the £237,040 second tier prize. Since no player matched the winning number from the draw, there will be a double roll over for the jackpot and consequently the jackpot prize is estimated to be £26 million. 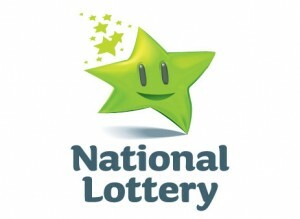 You can buy your lottery tickets online and test your lottery luck for the Tuesday’s draw.